Are you searching for a reputable workers' comp or personal injury lawyer in Colorado? 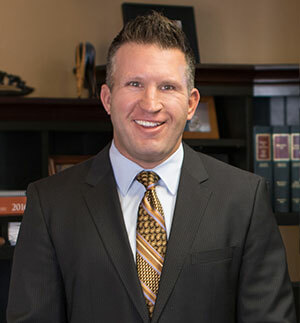 Colorado workers' comp and personal injury attorney Mack Babcock is passionate about fighting for the rights of injured individuals, especially against corporate America. He skillfully represents clients in high-stakes personal injury, workers' compensation and insurance dispute matters all over the state, including Denver, Littleton, Aurora, Boulder, Lafayette, Broomfield and other Colorado cities. The Babcock Law Firm stands committed to providing experienced, professional legal representation, beginning with a no-cost, no-obligation case evaluation and initial consultation within 72 hours. Find out how representation works. We invite you to read our client testimonials to find out how Mack Babcock, alongside his skilled workers' comp and personal injury team, has been able to secure positive outcomes in cases like yours. Description: Retained for representation for denied claim for injury to worker's low back. Negotiated settlement. "David did an excellent job with what he had to deal with, everything is set up for the owner!" Description: Represented for repetitive use injuries to both hands. Resolved issues and negotiated settlement. Description: Represented following motor vehicle accident. Negotiated settlement and resolved liens with Medicaid, health insurance and medical providers. "Stephanie has helped both my husband and I find ample compensation for work and car accidents. She is clear, efficient, and helpful, and obviously knows her job inside and out. Especially after stories we’ve heard of inefficient law firms, we won’t use anyone else." Description: Represented for denied claim. Went through Division IME process following Final Admission with 0 impairment and settled case. "This was a difficult case and the law firm, Stephanie Tucker, and supporting staff provides excellent service even in the worst parts of this case. They never quit until we won." Description: Represented following denial of claim for leg injury and negotiated settlement for the injured worker. "My thanks and appreciation to Stephanie for taking my case, although small, she helped make an on the job injury and employer dispute easier to understand and validated my truth. She was patient and kind. Always explained in terms I could understand. Thank you again for your support." Description: Represented following shoulder injury to resolve payment of permanent partial disability benefits.